This story is the Calibre One side of the Nexus Tel/Calibre One merger. It’s the story of Helen and Steve who built a technical business from a hobby to a multi-million-dollar business. In the beginning, there was only me. I laboured in my garage and tinkered with all manner of technical devices. I found that not only did I enjoy making these things, but that my friends often also wanted one of whatever I was building! I joined the Royal Australian Air Force (RAAF) at the tender age of 18 as a way of getting a free education in technology. While I grew up on a farm, I wasn’t always a hick and I enjoyed making electronic devices – from crystal radios (for the younger readers – you may have to Google this) to self-assembled kits and original designs. The Air Force provided the sound technical training and gave me a solid start all while getting paid a full wage. Throughout my Air Force career, my electronics hobby developed and with the advent of the TRS-80 and Amiga computers in the late 70’s and early 80’s, I was part of the early years of the computer revolution. I designed peripherals and software for all these machines. People like Bill Gates and Steve Jobs were all in their garages at the same time I was in mine – unfortunately I didn’t have the same financial success as them! 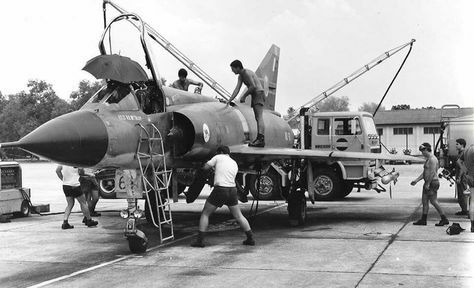 In the late 70’s, the RAAF posted me on a three year tour to Butterworth in Malaysia which is just adjacent to the fabulous island of Penang. It was a great opportunity to live and experience another part of the world. Quite different to the one I knew. You can hear a bit of the history of RAAF Butterworth here. 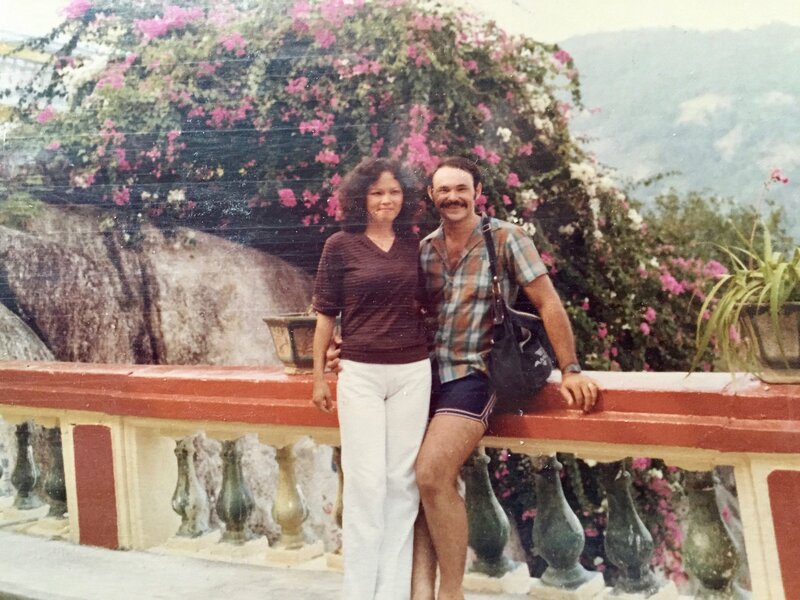 After a few years there, I met a lovely girl called Helen via a friend and that was it – my single life was over. She wasn’t much interested at first but someone must have had a plan for us because we got married about six months before being due to return home. She was brave enough to uproot her life and follow me back to make a new life in Australia. It is not exaggerated to say that everything we have achieved subsequently has only been possible by working as a team. On our return from Malaysia, we got posted to RAAF Edinburgh in Adelaide and a new phase of my RAAF career started with the Aircraft Research and Development Unit and then on the P-3C Orion aircraft. This was an order of magnitude more sophisticated than the Mirage fighter and was a great challenge. I took on more courses than I can remember but still had the time to squeeze in working on my own hobbies/electronics. Initially, most of this was software and as my nickname was ‘the Gnome’, the hobby company quickly got named GSoft (short for Gnome Software) by my friends – a name I was unable to shake for 20 years. 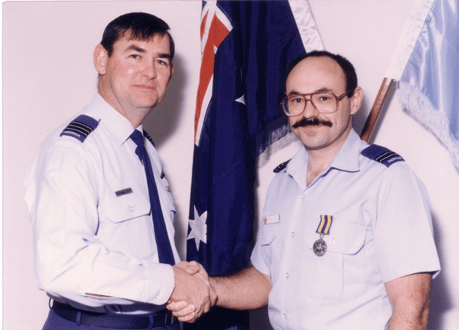 During this time, my RAAF career progressed – I completed more courses, was promoted, went back to school and was promoted again. Over the next 10 years this was mixed with postings and various interstate and overseas relocations and then finally back to Adelaide again. With youthful arrogance, I then decided I could do a better job than most officers I’d had to work with, so I applied for and received a commission to the Officer ranks. I worked on electronics, aircraft modification management, large projects, advanced electronic warfare systems and classified projects. It was a demanding and challenging career that I’d happily repeat in a flash but I did ok, was promoted quickly and even received a few awards. One of our first successful private venture products outside the RAAF was an audio editing and sampling suite for the Amiga computer which was hugely popular. 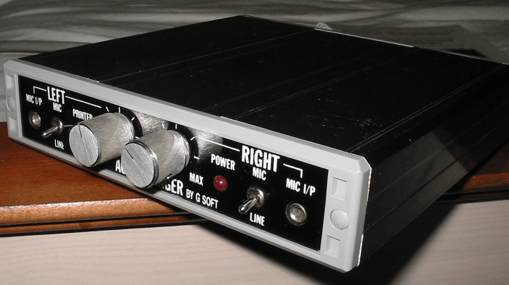 This was a hardware device that would convert audio to digital sound and then allow you to edit it. It was state of the art at the time and we sold thousands around the world. I’d assemble them in my little backyard shed (a 2x2m tin shed) and then Helen would box, shrink wrap and dispatch them from our lounge to destinations all around the world. We won a number of awards in various magazines for these. Helen ran the business during the day, taking orders and ordering components. 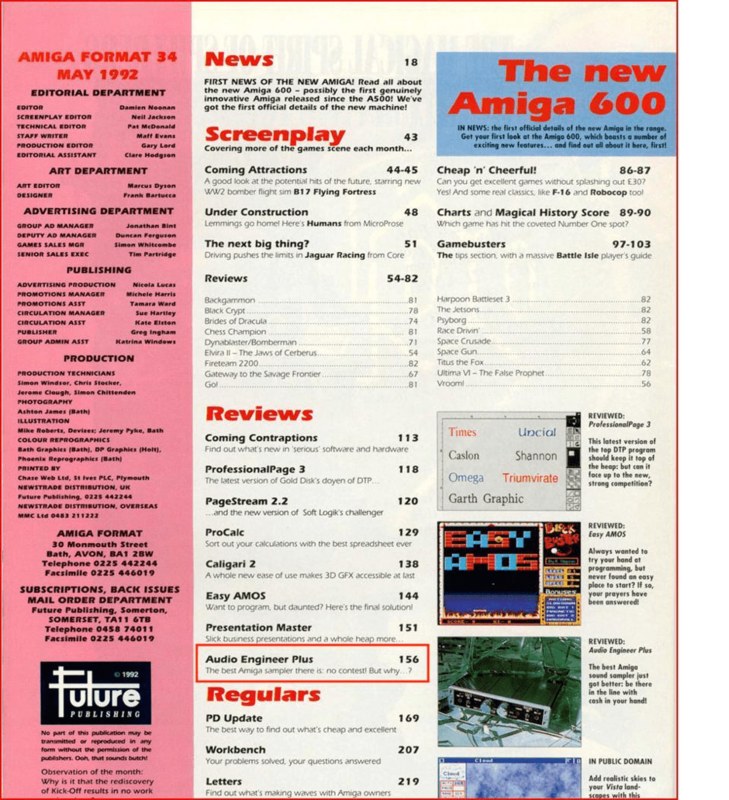 We also went to Amiga shows all around the country which were huge at the time. I spent a lot of effort to keep these two parts of my life separate, never mixing the two. Helen would work all day, and I’d come home and work half the night. But, after 24 years in the Air Force, one day I answered the phone while at work with the cheery response “GSoft computers, Steve speaking” only to find that it was my Commanding Officer… It was then I knew a career change was in order. I retired from the Air Force in October 1998 as a Squadron Leader and we launched into GSoft full time. Our early years in GSoft were a mixture of designing products, manufacturing, repairing machines and importing peripherals and products. However, the computer/technical world is an incredibly dynamic one – the tech world changes in a heartbeat and if you don’t constantly evolve then you fail. Many businesses we grew up with no longer exist because they failed to evolve. But we did change. Gradually we moved more into maintenance – a natural extension of my experience in the Air Force as an Electronics Engineer, I guess. A number of our customers at that time became successful and their businesses grew. To continue to serve their growing needs properly, we also needed to evolve so I elected to grow the business to provide them with the service they required. GSoft become a business focused mainly on service. We fixed electronics, repaired monitors, built computers and provided training. Our fundamental expertise in electronics enabled us to tackle almost anything. Over the years we gradually took on more and more staff. We had a big community involvement and in that time took on literally hundreds of work-experience kids and trainees from local schools. 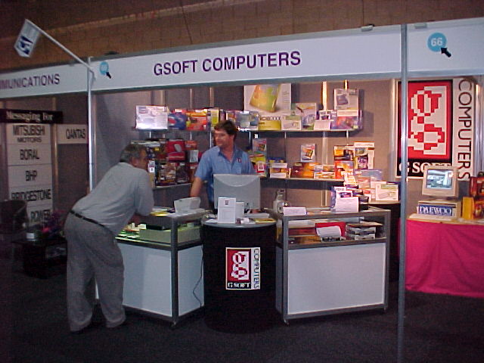 Many of our customers and later our peers, actually had work experience with GSoft in their school years. We could not have achieved as much without the many people who joined GSoft in the early days and especially those who are still here today. You’ll recognise Wade, Lauren, Peter, Andrew and others in the photos below. As an employer, having people you employ as teenagers and then seeing them develop, gain experience, raise families of their own, all while undertaking the journey of developing a company together is a great experience. It’s like having an extended family. One of the things that GSoft always focused on was the early adoption of technology – our motto was “Do to ourselves before you do to the client!” We trialled everything and were always at the cutting edge. We constantly sought ways to use tech to help our clients. I think it was this philosophy that kept us evolving and ultimately ensured our survival when most of our peers of the era faded away. Our next ‘great leap’ was in the 2006 when we decided to evolve from GSoft to a new company called Calibre One. We formed this in association with another smaller, but technically outstanding company called Marble IT that was struggling at the time. Between both companies, we formed a new, more powerful and more complete entity. 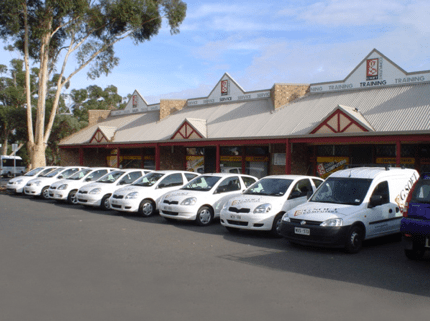 The new Calibre One concentrated on business clients in the 10–75 seat range – clients that were professional in their needs and needed a company with more depth to support them. 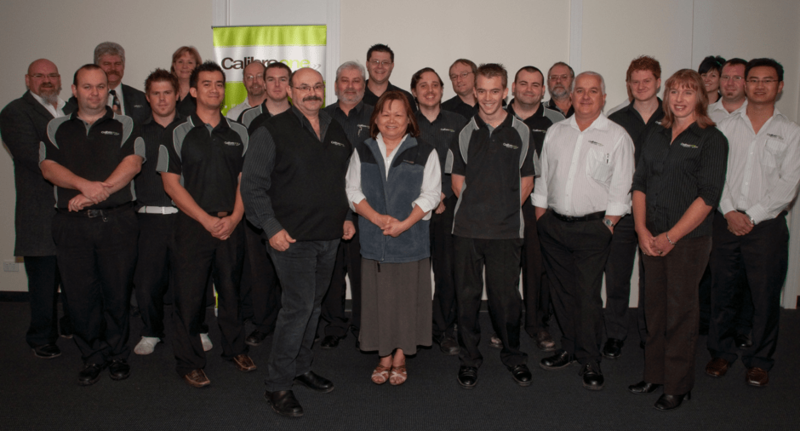 Calibre One evolved, grew steadily and developed a solid reputation in South Australia. We achieved Microsoft Gold partner status in 2008 and didn’t look back. In early 2010, the lease on the sprawling group of shops we had occupied for the last 12 years came up and the agents wanted to jack the rent by 50%. Since they refused to stop it leaking when it rained or do any maintenance, I decided we needed to move. As luck would have it, Lin Andrews was building a new double story office building just 100m down the road. One lunchtime I wandered down there and he happened to onsite checking out the early stages of construction. I told him our story and he asked how much of the space we needed. He nearly choked when I said we wanted the whole building! We moved in late in 2010. 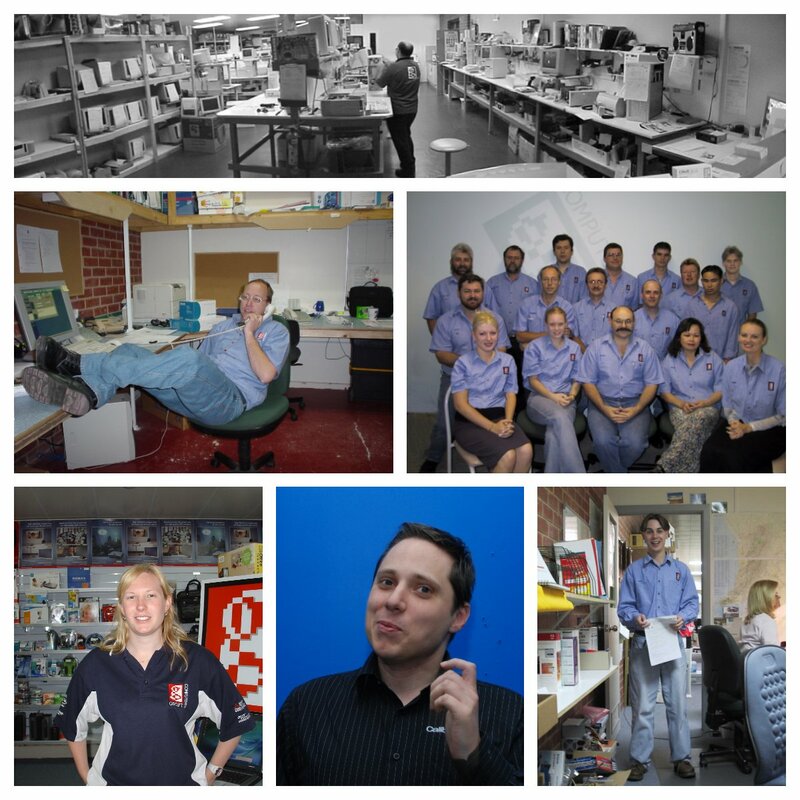 2012 and 2013 were very difficult years and while we had grown to nearly 40 staff, we had to put off a number of people. This was a side of managing a business I really had a lot of trouble with, but hard decisions were required and so taken. In the end, we made it through, but it created a lot of internal friction. In 2014, Helen and I decided to make an offer to our partner and buy their shares. It took us a year to pay for them, but we eventually completed the transaction. In the end, I think it was worth it as we ended up with a more focused direction and less internal conflict but we wouldn’t be where we are today without the evolution and lessons that phase brought. All through these years, I used to regularly attend the annual Microsoft Partners conference. One of the many people I saw on these once a year trips was a certain engineer called Damien Hartwell from a company called Nexus Tel. This led to an early association with Nexus Tel where we would perform subcontract work on specific projects. It was a good working relationship, as we provided good technical support and project management and they provided the sales and marketing expertise we didn’t have. I didn’t know it then, but this was the start of the relationship what would later become the ‘new’ Calibre One. By March 2015, I was starting to feel a bit worn and was contemplating how to take Calibre One to the next level. While we’d built a good engineering company and had fabulous staff, we were all nerds and I felt it was difficult to take us to the next level without broadening our horizons. Around this time, we received an offer from a fellow Adelaide based company who wanted to merge/acquire us. At the time it seemed like an attractive offer and most of our staff seemed to be on-board. We signed a memo of understanding and commenced the dance necessary to be acquired. In the end, however, they only wanted one part of our company and they expected me to dump the other part. I simply couldn’t abandon some of our staff or the clients we supported without a wind down period, which they didn’t seem anxious to provide. I put the deal on hold pending working out how to handle those concerns. I was feeling pretty down around then, wondering if I’d done the right thing. However, just one day after I’d sent the email putting the proposed acquisition on hold, the Nexus Tel guys rang and said they wanted to meet. Funny how things work out. We met in our board room and I remember Wade and I sitting dumbfounded when they dropped on us the idea of a merger and working partnership. Right from day one it seemed like a fantastic way to go. It lacked the immediate financial awards of the previous offer, but offered a better outcome for our customers and staff, a true alignment with our own ideas for the future and a vastly greater challenge. They had sales and marketing skills, we had engineering and support skills. It was a perfect match. one of my Facebook posts at the time! We signed an MOU to work together and immediately started providing contract engineering services for their sales team – both we and the customers saw the results immediately. For the rest of 2015 and early 2016 we worked together and plotted a July 1, 2016 start for a new combined company. We were very proud when the team all jointly decided that the new merged company would carry forward the Calibre One name. I know our staff, Helen and I all felt very proud that our new partners felt the name and reputation we had all worked so hard to achieve would be carried forward. In line with our vision of the future, we formed a new company with the best of IT, Telecommunications, Sales and Service. So on 1 July 2016 the new Calibre One was born with the merger of Nexus Tel and Calibre One. A new start and a new Logo! As you read this, it’s now over one year on from that start date and we’ve completed the first full year of trading as the ‘new’ Calibre One – and that’s worth a story in its own right!